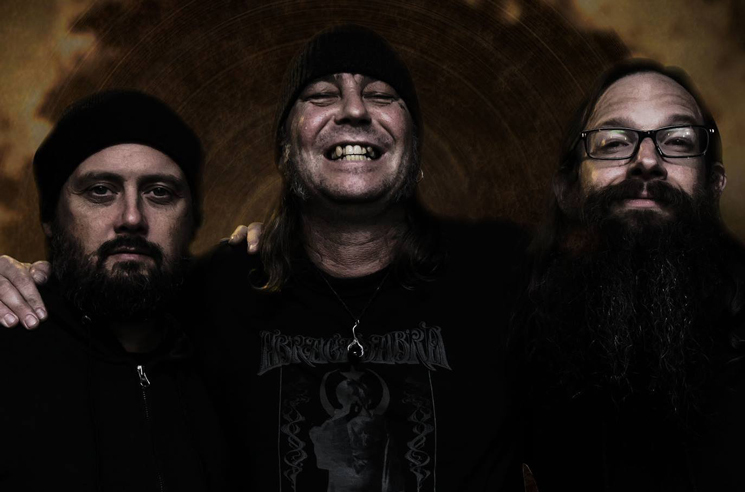 Frontman Matt Pike is "at great risk of losing it, and/or a bigger portion of [his] foot due to diabetes"
High on Fire were forced to axe a tour last year due to leader Matt Pike requiring a partial toe amputation. After then booking a 2019 North American tour, the band have once again been forced to cancel that makeup trek — this time due to Pike being "at great risk of losing it, and/or a bigger portion of [his] foot due to diabetes." The tour was to kick off this week, but High on Fire have broke the bad news to fans today that it will not be taking place. To my brothers, my crew, and anyone else this affects. I do apologize for the inconvenience of this cancelation. I feel as though I'm explaining lightning striking twice. I wanted nothing more in the world to play these songs live, nor ever cancel something I say I'm gonna do. I am a warrior for our art, and have endured some painful things to what we do. The timing and repeating nature of this is my nightmare and almost impossible. Nevertheless, to save yet another toe, my big one, I have been grounded by circumstances out of my control. I will have more of a medical report to come but right now I'm at great risk of losing it, and/or a bigger portion of my foot due to Diabetes. Which I have been managing very well. It just shows how this disease can affect our lives. Please forgive me, and if you know anything about me, you know this is not like me. We will be back! You can see the cancelled dates, which includes stops in Toronto and Montreal, below.